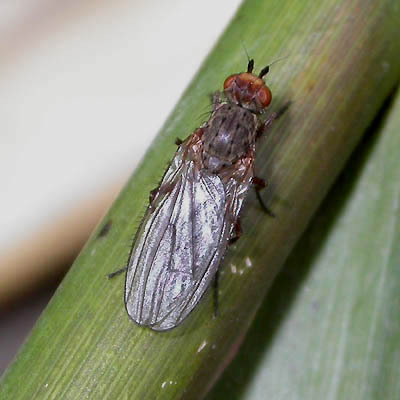 This fly was observed in mid winter. I have no idea what family this fly belongs to. Has notable bristles on the side of the wings.